Big Star is one of the most influential performance stallions of the decade. 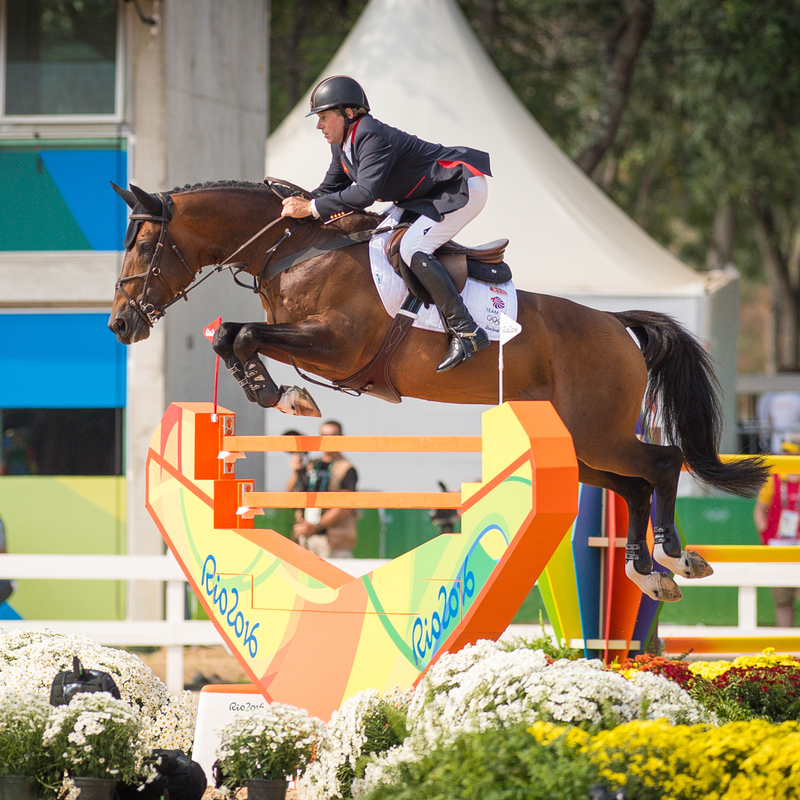 Ridden by one of the top equestrians in the world, Nick Skelton, the pair have won many of the most prestigious show jumping competitions in the world including Olympic Gold Individual Medal in the 2016 Rio Games. The British rider discovered the talented bay as a youngster in the Netherlands and trained him through Grand Prix level. He has been quoted to admit that, “Big Star is the perfect horse and one o the best he’s ever ridden.” The Quick Star son has more than lived up to his name and developed into a top show jumper in a league of his own. In 2012, Big Star proved his excellence at all the top show jumping events in the world. At the Olympic Games in London, Big Star had only one rail down the final day of competition and was awarded 5th place individually, and because of his numerous clear rounds early in the week, was the anchor for Great Britain to secure the Team Gold. His success at the Grand Prix of Aachen earned him the Preis Von Europa or The Prize of Europe. Other major successes include wins at the Grand Prix in Antwerp, Global Champions Tour in Hamberg, Grand Prix in Rome, and numerous Grand Prix wins in Wellington, Florida. In 2014, Big Star finished 3rd in the Global Champions Tour in Cascais, Estoril and 4th at the CSI4* Grand Prix in Fontainbleau. Big Star’s most impressive accomplishment is winning Great Britain the Individual Gold Medal at the 2016 Rio Olympics. The combination of Big Star’s select and well thought out bloodlines has helped make Big Star the exceptional competitor he is today. There is no doubt when paired with the proper mare. Big Star’s qualities will shine through and produce excellent offspring. Although Nick Skelton and Big Star have focused primarily on his show career, there are several young offspring on the ground. Among his small collection of offspring is his 2009 son Estrello (ds. Heartbreaker x Pilot) who was selected for the KWPN performance test in 2011. His first U.S. foal crop was born in 2015 at Spy Coast Farm.